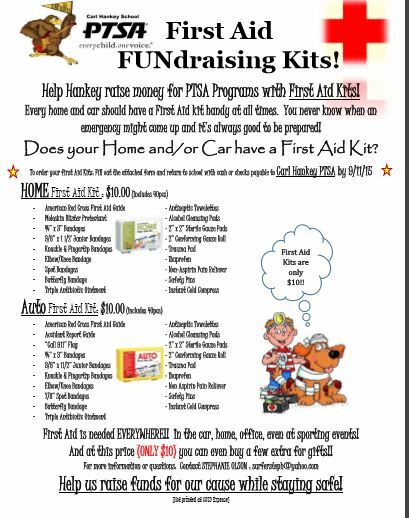 FIRST AID KITS are available for purchase at Hankey. Don’t miss out on this great FUNdraiser which supports our school’s many PTSA programs. Each kit contains 40 critical pieces of equipment, with everything you need to be prepared in case of an emergency. Tell your family members, friends, neighbors, even your teammates about this great deal. Deadline to order is Friday, Sept. 11th! By hankeyptsa in Uncategorized on September 7, 2015 .